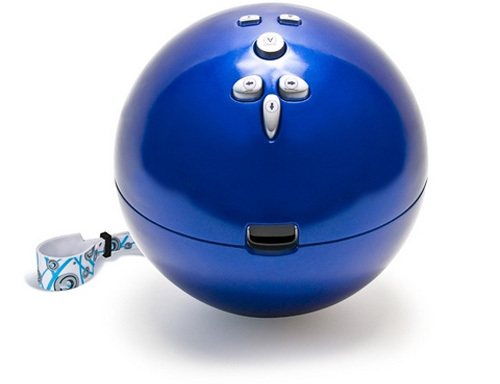 Wii Bowling Ball Accessory Might Be A Bit Much | OhGizmo! There’s no word on pricing or availability, but I can’t imagine there are too many people chomping at the bit to get their hands on this thing. Oh no! I can see that smashing into many flat-screen TVs. I think it's more of a hazard than a useful gizmo.